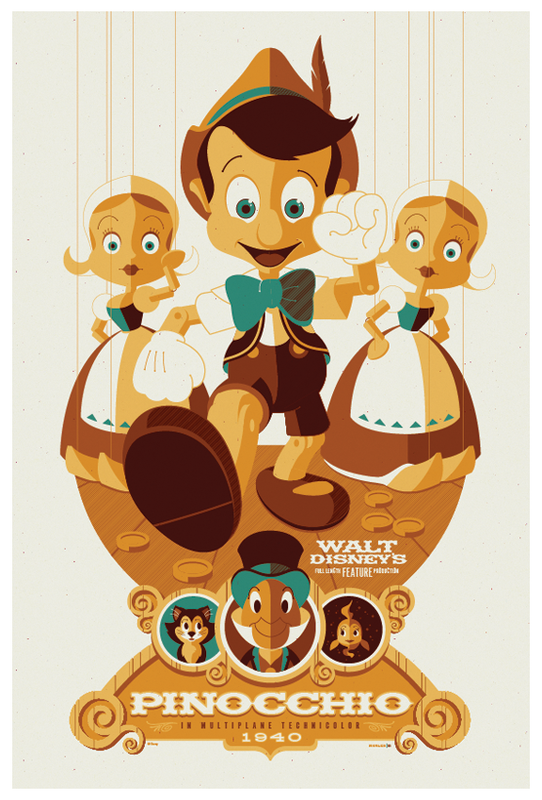 here's the second disney feature film that i've tackled for mondo, the classic "pinocchio"! this is, by far, my favorite of disney's classic era of films. from the lush, detailed backgrounds to the flowing animation style, to the inimitable jiminy cricket, this one has it all. i watched it a bunch when i was creating the poster and still have it in heavy rotation to enjoy with my son. fantastic!